When we think about links between music and fashion, endless combinations come to mind. Hipsters listen to indie music while wearing oversized plastic glasses and layered clothes that don’t match, girls who listen to R&B usually wear large hoop earrings and crop tops, punkers always stick to black t-shirts and mohawk hairstyles, but the most recognizable music genre when it comes to clothes is most certainly hip hop. Its popular trademark, the baggy pants, worked their way up in the nineties, and they have stayed there ever since. Sure, they have their roots in funny looking Mc Hammer pants comfortable for break dancing, and they were also worn by many other subcultures such as skaters or ravers, but when it comes to hip hop, the reason they became so popular was because all the hot rappers were wearing them. They basically became the branding point of that part of the music industry. We cannot be sure is it because they don’t want to show their undies anymore, or is it because they want to show their legs more, but wide leg jeans are not a preferred item for high class rappers anymore. 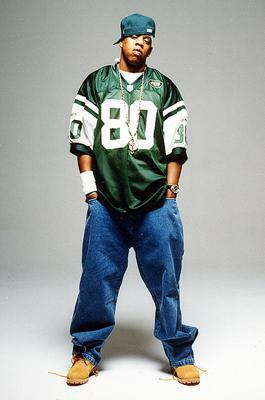 A new breed of rapper-singers has brought a new trend, completely opposite to the baggy pants, called slim fit jeans. The game has changed a lot, in fashion and in music. Kanye West was one of the first who introduced indie musicians to the world of mainstream hip hop, and he was the one who decided it would be nice to play with fashion a little bit. It was probably because he was spending too much time with Justin Vernon from Bon Iver, and some of his fashion sense rubbed off on Kanye. Baggy pants will most certainly not perish, they are too valuable and too convenient for some subcultures, like skaters for example, but when it comes to stars from the hip-hop industry – those days are more than over. When Jigga says so, it is so. There are no more boundaries.